Austrochilidae is a small spider family with nine species in three genera. Two genera (Austrochilus, Thaida) are restricted to the Andean forests of Chile and adjacent Argentina, the third with only one species, the Tasmanian Cave Spider Hickmania troglodytes is known only from to Tasmania. Like those in the family Gradungulidae these spiders are considered missing links between the Mygalomorphae which appeared early in the spider lineages, and Araneomorphae, the free-living, so-called modern spiders with only one pair of book lungs. Mygalomorphs usually live in the ground or in very wet debris or undergrowth, needing constant access to water. 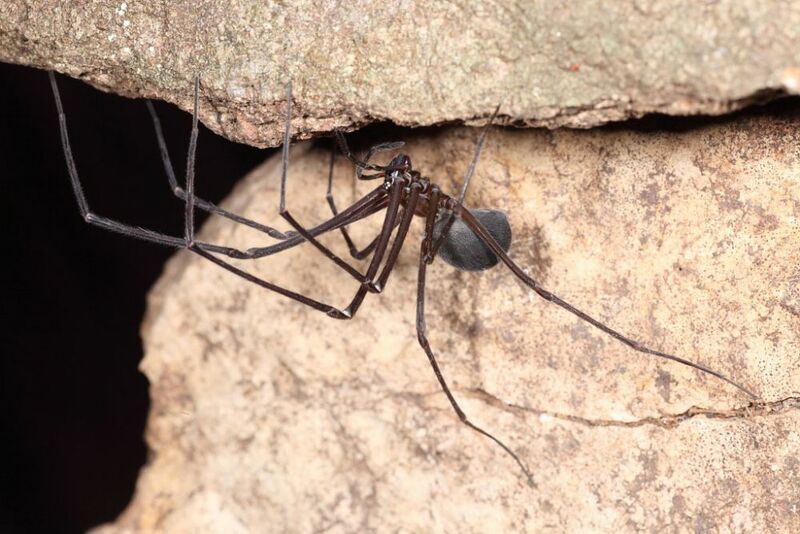 The missing-link spiders tend to live in cool, damp caves but can roam more freely.